For patients suffering with Psoriasis or Vitiligo, there is a laser treatment which offers pain free, long lasting relief and noticeable improvements after just a few short treatments. At Asarch Center and DERMAspa, we offer treatments for psoriasis and vitiligo with the FDA Approved XTRAC Excimer Laser. 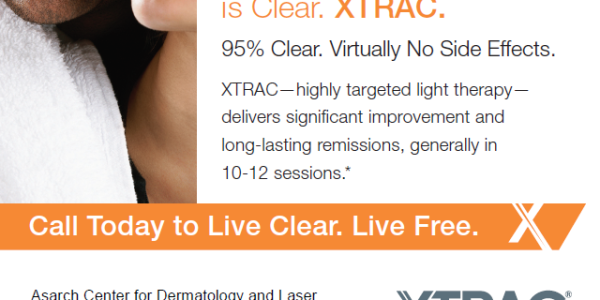 XTRAC is recognized by dermatologists worldwide as the leading laser used to treat psoriasis and vitiligo. The Asarch Center’s team of medical professionals are all specially trained, licensed and certified in their respective areas of expertise. We love our patients and offer state of the art technique and technology ensuring the best care.